No more bending down to plug-in or unplug your heated mat. Connect once. Easy to use. 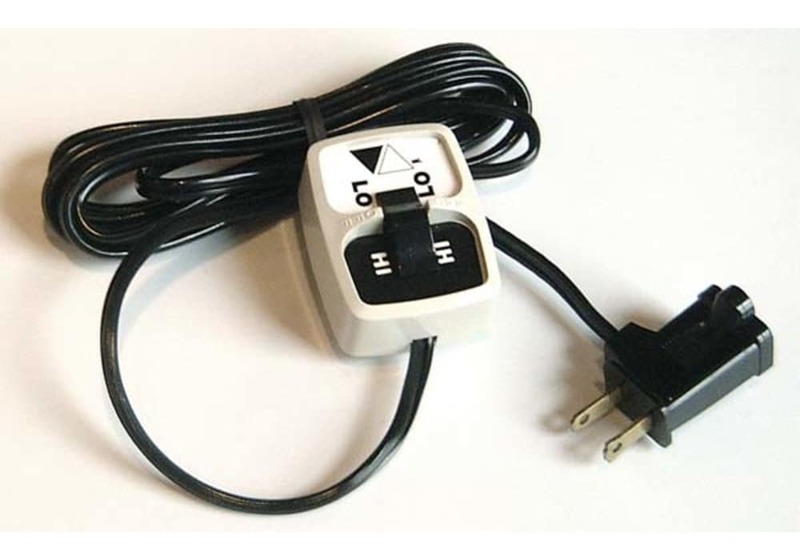 For temperature adjustment and more convenient on/off control, try our hi-lo-off switch. It allows you to adjust the foot warmer mat to a low power output setting or to turn it off completely without having to unplug it (or turning off a power strip). The low power setting yields more gentle heat (approx. 115 degrees) to keep you warm if the uncontrolled temperature is hotter than you need.